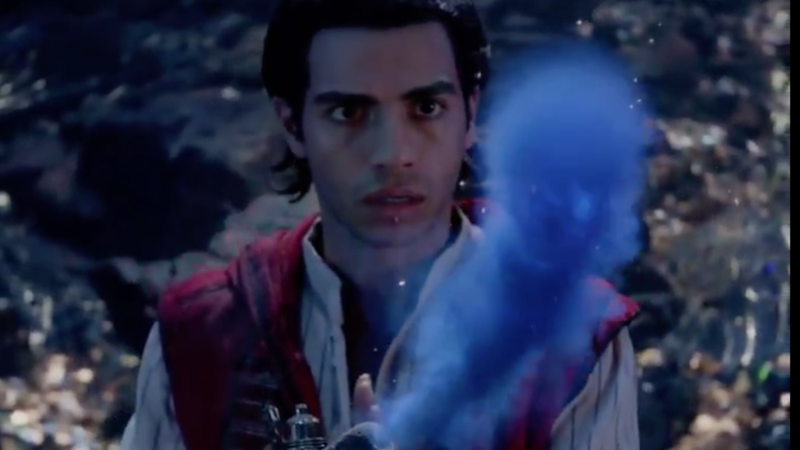 The firs teaser of the film chose to keep Genie in the bottle (there was no sign of him). Following that, his first look was revealed which had fans disappointed. Although Will Smith had been featured as the Genie, people weren’t happy about the fact that he wasn’t blue. All those concerns have been put to rest now as the trailer shown at the 2019 Grammys officially introduced Smith as a very blue Genie. The trailer starts off with its theme tune full of drama, just like we remember it. It shows Jafar usher Aladdin into the cave, asking him to bring him the lamp and the latter does exactly as he is told. His little friend Abu also makes an appearance, perched atop his shoulder. The next few scenes are short clips from the film showcasing the various characters, including Princess Jasmine in a pretty pink ensemble. Helmed by Guy Ritchie, Aladdin stars Mena Massoud in the lead and Naomi Scott as Jasmine alongside Smith. The film will hit screens on May 24, 2019.